Aatrix will be supporting both sets, 1095/1094-B and 1095/1094-C, for the end of year reporting requirements. *To qualify for discounted 1095s, file your COMPLETE W2s first, then your COMPLETE 1095s. To receive important ACA product release information, please provide your contact details below. 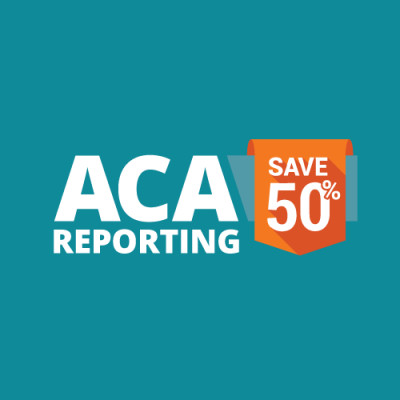 Below you will find some tools to help you discern if your company needs to comply with ACA reporting. We have provided a monthly calculator for you. Affordable Care Act (ACA), the following information is required. What type of health coverage is sponsored by your company? Are you part of an Aggregated Group? Use the chart and/or calculator below to quickly determine which forms you need to file. When are the ACA forms due? Below you will find the ACA Reporting Deadlines for 2018. *Submit filing by 1:00pm CST on February 28, 2019 to guarantee compliance. **Submit filing by 3:00pm CST on March 28, 2019 to guarantee compliance. ACA Forms 1095-B or 1095-C and the transmittal form 1094-B or 1094-C will be eFiled to the IRS. Employee copies are printed and mailed directly to your employees as well as posted to a secure website for immediate access. Choose the W2 Complete Service first and pay the low price of $1.99/employee then choose the Complete ACA Service and SAVE nearly 50% - That is a savings of 96¢ per employee! Sign-up for a chance to WIN an iPad Mini! allows you to eFile any of the supported state and federal payroll reports to one site for processing. In addition to our W2 and 1099 eFiling, we are offering a Complete ACA eFiling package! Going paperless has never been easier!